Elsa Pataky has been busy soaking up the sun in one of the most exotic places on the planet - and the photos will give you major vacay envy! 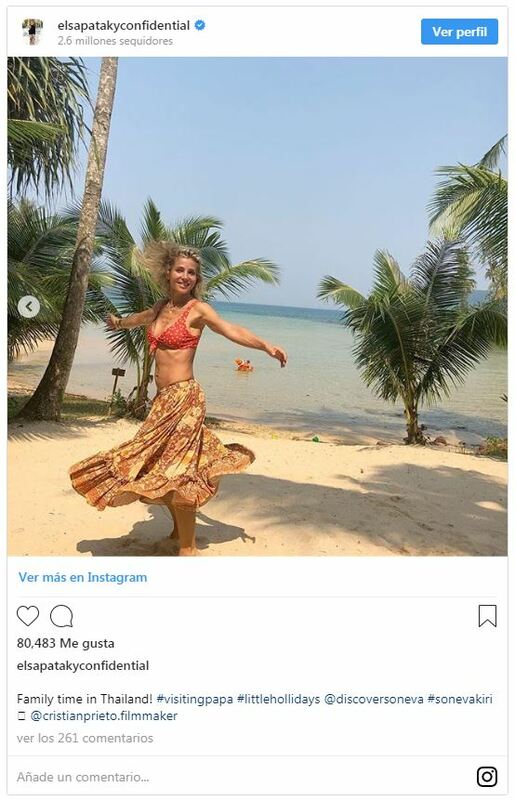 The Spanish actress is in Thailand with her husband Chris Hemsworth and their children - India, Tristan and Sasha - as well as her brother Cristian Prieto and his wife Silvia Serra. The family flew in to visit Australian star Chris, who has been on location filming his last scenes for Netflix action thriller Dhaka, in which he plays a mercenary who gets caught up in the plight of a young boy, who becomes a pawn in a war between notorious drug lords and is kidnapped in Dhaka, the capital of Bangladesh. 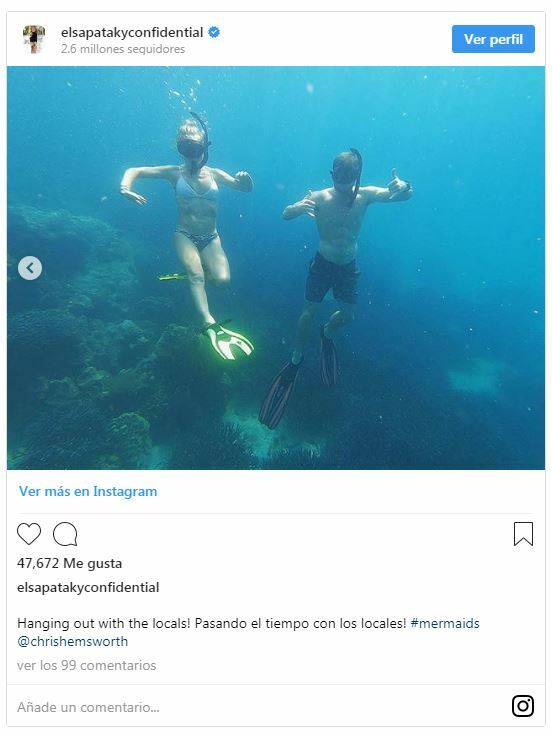 Hanging out with the locals," wrote the 42-year-old star in a caption of one shot of her and Thor star Chris snorkeling together. 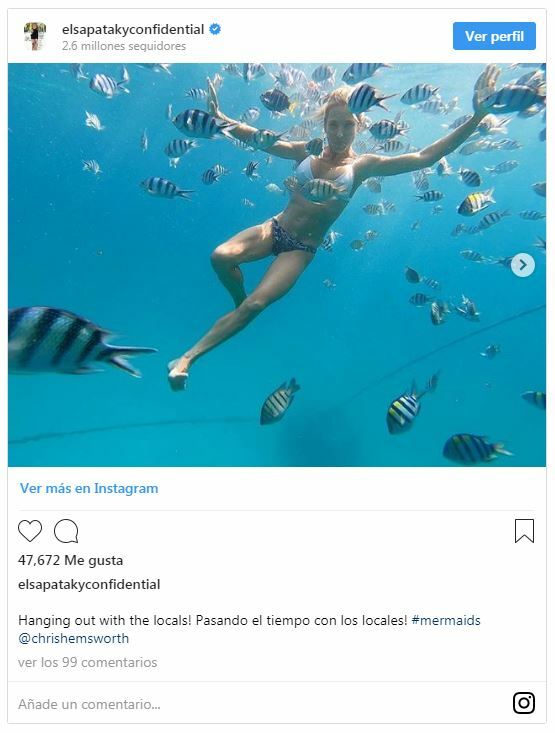 Elsa has certainly made the most of her time in the exotic paradise, judging by her Instagram feed and the many bikini pics she has posted. In one, she can be seen in a cute red bikini from Australian label Join Halcyon Daze - which is available on their website with a price tag of $90. The mom-of-three maintains her fantastic figure by sticking to a healthy diet and a keeping up with a rigorous exercise regime. "Family time in Thailand! #visiting papa," she captioned the photo. After ten years away from the cameras - during which she has focussed on her family - the actress is making a return. She stars in new series Tidelands - playing Adrielle Cuthbert - the darkly enigmatic leader of a group of siren-human hybrids. The new show dropped on Netflix last month. Elsa says that getting back to work has been good for her and Chris' marriage as they've been able to recconect of their shared love of acting. "I think it gives, like, another relationship between us. It's been all this time just talking about kids and everything,' she told Australian publication TV Week. "Now we can talk about what inspires us - teaching each other, or talking to each other about the scenes." The whole experience brought back memories of when the couple first met in 2010 and Chris was starring in Thor. "It bought a lot to us again, and more fun. I think it's great. When you are just a mother, it's amazing. It fulfills you in so many ways. But I think this is my passion and this is what I love to do. So it makes me happy."